Special friend. . Wallpaper and background images in the luôn giữ nụ cười club tagged: friendship smile sylvie happy fun vicky friends karen. Love and laughter,special things in life ! 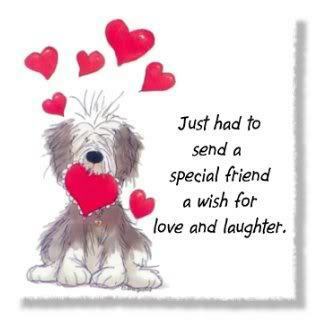 Love, laughter, and a doggy! Can't go wrong with that !! Thank you and great laugh for you too !